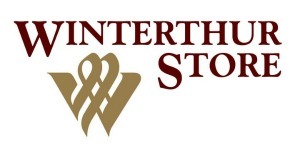 Have you ever shopped at the Winterthur Store? Everything in the store, from the home to the garden, has been inspired by the elegant estate of Henry du Ponts, and I love it because it’s like early America meets modern. The last time I browsed through their accessories and gifts, I saw a beautiful outdoor thermometer with an elegant French-inspired design. I had to have it! I absolutely love the rich bronzy-gold finish and the beautiful detailing of the ivy on the cut-out center. Love, love, love. All I had to do before I could mount it was to calibrate the temperature. There’s a dial on the back which controls the hand on the face of the thermometer, so I rotated it until it matched my room temperature reading. 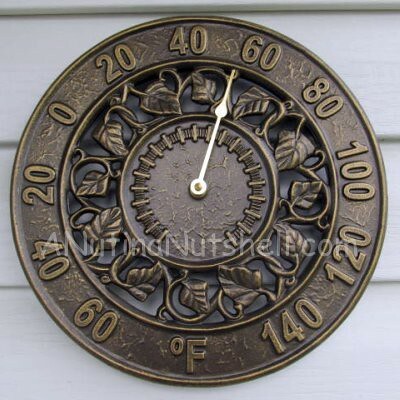 Once it was calibrated, I mounted it outside in a spot that I could easily see from my kitchen window, and with its 12″ diameter and bas-relief numerals, it’s super easy to read. but after it sat out there for a little while, it picked up the outdoor temperature….brrrrr! My only mistake was in forgetting that the spot where it’s hanging receives direct sunlight for a little while each day, so the temperature goes up during that time. It’s only about an hour though, so I’m not worried about it. 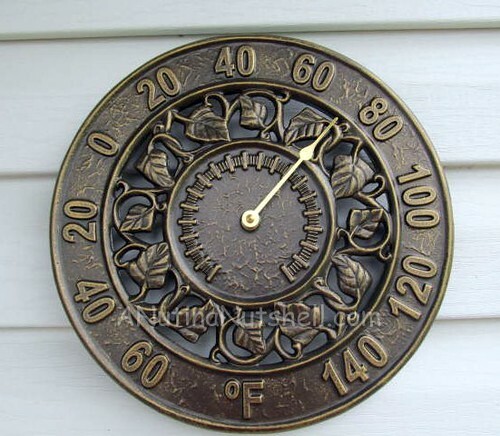 The thermometer is made of rust-free aluminum and the housing is weatherproof, so I don’t have to worry a bit about it being outdoors, and when I move, I’m taking this with me to my next home! Buy It! 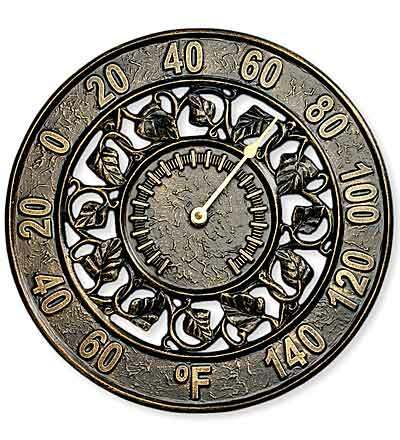 The Ivy Silhouette Thermometer sells for $59.99 at Winterthur Store and would make a wonderful holiday gift! 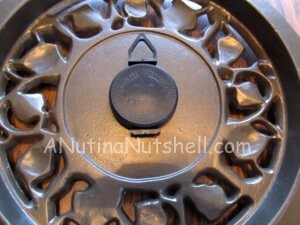 Winterthur Store sent me the above item for review, and all opinions expressed in this post about the product are mine alone. Probably bedding. We can always use new sheets! I’d shop in the gift section to buy xmas gifts for friends and family. I think I would shop from the outdoor living section. Outdoor Living would be great to shop in. I’d probably shop from the outdoor living. I would shop at Outdoor Living. I think I’d shop from the outdoor living section. I would shop in the tableware section. I would shop in the gift section! I would choose from the Tableware section. I really like those hand painted mugs…the Madison’s Garden ones. I would use it in the jewelry section. It would be Home decor. I bought a 16 piece pottery tableware set for a friend for her birthday. They had just finished their cabin in the woods. It was so beautiful i bought a set for myself. Outdoor living, we live outside in the summer! Bedding and home would be my pick. I would get something from Home Decor probably. I would shop the Gift&Celebration category. They have beautiful things! I’d love to get some new home decor! I would love to buy some new bedding! I think I will shop gift and celebration. I’d shop in the Outdoor Living category. I will shop from Tableware! I’d probably shop from the home decor section…I recently moved into my place and am hoping to make it much more homey! I would shop the tableware category. This would be for myself so I would choose home decor. I would shop from the home decor. I’d probably shop at gift & celebration. I would probably shop the home decor catagory. I would shop in bedding. I will shop either home decor or bedding. I would probably get something in the bedding and home section. I would be shopping in the home decor! in the home decore they had some beautiful glass hummingbirds mobile or a stain glass blue bird window hanging I liked. I would probably shop from home decor or outdoor living. I would order from Tableware..
I’d shop in home decor. I like the Outdoor Living section. I think I’d do bedding. I guess I’d be shopping from the gift area, for her. I know my sister would love these gorgeous plates! I’d shop in Home Decor or Outdoor Living. I’d probably get a fireplace screen or a fatwood storage container. I’d shop their table ware collection. Thanks! Outdoor living! There are some great gift options there. I would shop from the Home Decor section. I luv to be outdoors, so Outdoor Living would be for me, thanks! I like the High Gloss Black Clock. I’d choose from outdoor living and get outdoor items for my camper. Thanks. I will probably shop in the Home Decor section. Definitely the Bedding & Home since I need some things for my bedroom. I don’t how to pick just one! Probably though if I had to I would pick the Home Decor. I think I’d shopping from the Bedding and Home category. Thank you. If I won, I would shop in tableware and get something new for my table. I’d shop from the Bedding department. Home decor! Lots of great options! Thanks for the chance. I would most likely use the Bedding & Home collection. I would use it for bedding most likely. Home Decor or Gift and Celebration. I need Christmas Decorations! I would really like to shop from the home decor section. Thanks for the chance to win. I will shop in the Bedding and Home section, I need some new sheets! I would shop from the Tableware section. I will probably shop the Home Decor category at Winterthur. I saw saw rugs that would be nice. Thanks. definitely the home decor section! Definitely bedding! 🙂 I need new sheets. We’ll shop the Bedding section. Love this thermometer. It would look beautiful on my back porch! I’d shop in the tableware stores. I’d look through the Area Rugs. Thanks! Home decor – just bought a new house and will be moving shortly – looking foward to some new “decor!” Thanks!! Probably the home decor section! I think I would get something from the bedding section. Outdoor living is definately my thing. Too bad its almost winter. Booo! I’d love to shop from the home decor department. 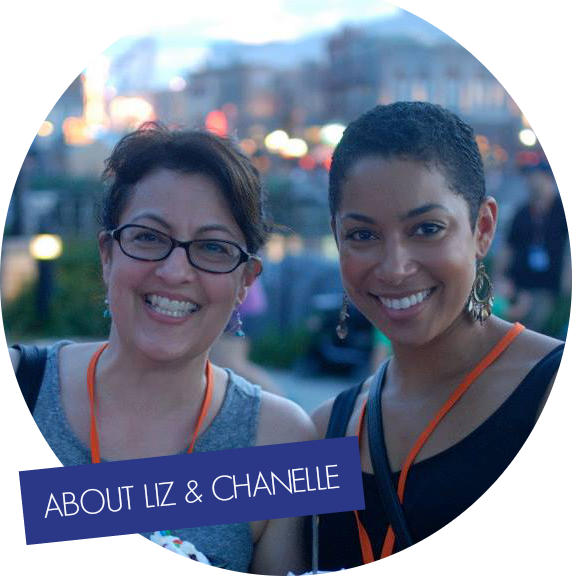 i would love to shop from the gift & celebration category if I won… thanks for the opportunity. I would shop in the Home Decor section. Definitely the outdoor living. Hubby has been wanting an outdoor thermometer for two years and we just haven’t splurged on one! I would shop in the outdoor living section. I will probably shop from home decor. I would definitely shop in the outdoor living area. I’d get something from bedding and home. I would shop from the home decor category. I wouldn’t know where to start, but I would probably buy from the Tableware. I think I will buy from outdoor or gift and celebration! I would choose something from outdoor living for my mother-in-law! Just wanted to let you know that the code for the holiday gift guide button is the A Nut in a Nutshell button. I would shop from the Gift & Celebration section … saw some really cute things there! I would shop from the home decor for sure! Bedding and Hone for sure. i would go to outdoor living for a gift. I would shop from Outdoor Living. home decor for sure! my house needs some more stuff to make it feel like home! Outdoor living – love their outdoor selection. Most likely gift & celebration! I would select from the outdoor living category. I would shop outdoor living. I love anything for the garden. Although, bedding & home is tempting too. Thanks! I will shop from the outdoor living. I would definitely get something from bedding! Thanks so much for the fantastic giveaway! Our walls are looking pretty bare right now, so I’d most likely shop first in the Home Decor section of the site. Thanks! I would choose Home Decor. I love the Wine Is Bottled :Poetry hanger! Probably from the gift section. There is a pretty necklace set that I like! I would shop form home decor. I would like to shop from the Home Decor category of the Winterthur store. I would likely shop from the Home Decor department at Winterthur. Very nice looking thermometer! I’ve never heard of Winterthur. We are apartment dwellers with no real “outside” to speak of, so I think I’ll be choosing home decor. Off to check out the website.